Go Deep or go Home! I had heard a few times that the western Lough’s can fish well at the end of the season to daphnia feeding fish in the deeps. 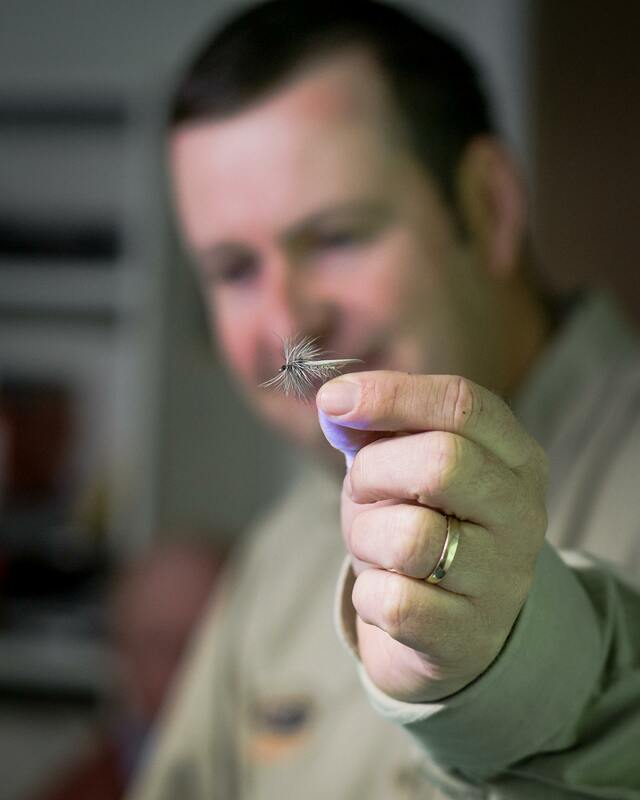 There can also be a chance of dry fly fishing with sedges and daddies. With this in mind I contacted my pal and Corrib boatman Tom Doc Sullivan to see if a trip would be worthwhile. Tom really knows his stuff and he told me to make the journey. However I wouldn’t be fishing any of the drifts I had fished on previous trips. It seemed like – go deep or go home! I was joined by my mate Dave who has also fished the lake before but never at this time of year. Preparation had gone well and I was armed with a Mackenzie FX1 10ft #6 and #7wt. Tom had recommended tying up some bright daphnia patterns to pull on an Airflo Fast Intermediate line. As usual he was spot on. We didn’t know what to expect but followed Tom’s advice and with good conditions we had great sport catching beautiful wild Irish trout in a fantastic location. 24 trout landed in 2.5days fishing is awesome. 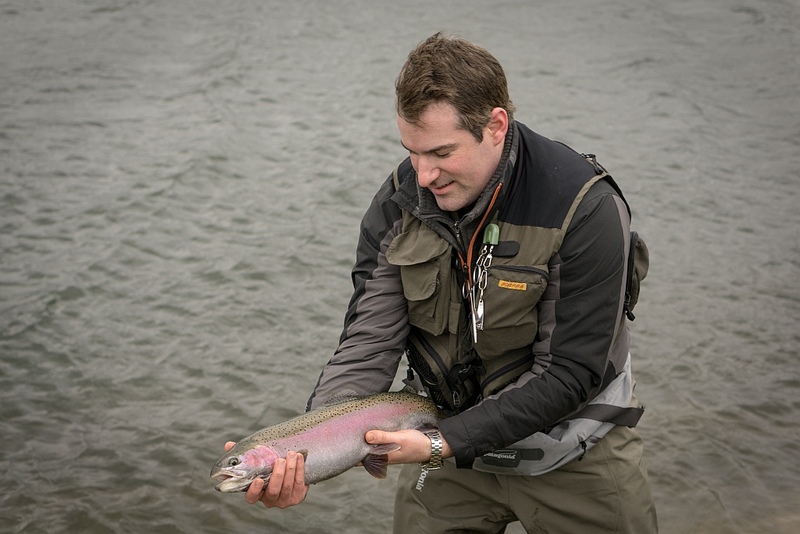 We learned a lot about fishing the lake at this time of year and it was brilliant to have several nice trout take our dry flies. 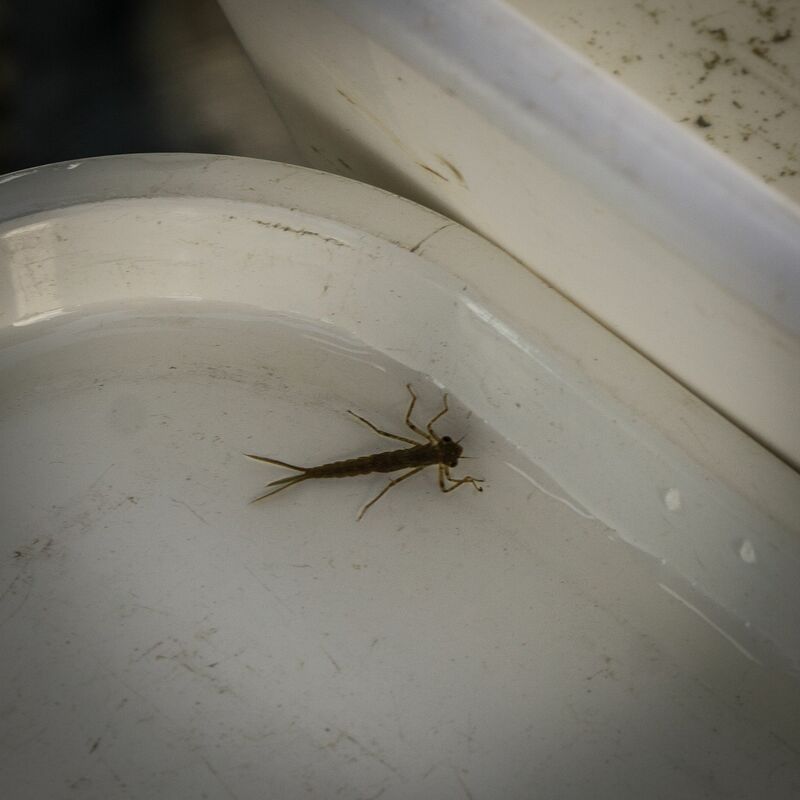 There is still a month left and the great thing was there wasn’t as many boats out compared to mayfly time. The weather was much milder than some of our early season duckfly and olive fishing trips too. We will definitely be contacting Tom around this time next year and if prospects are good we will be back. The Mackenzie DTX team combined forces with Professor Gary Savage, former Formula One World Team Champion and one of the world’s leading experts in carbon and composites to create what may well be the most advanced fly rod ever made – the FX1 Graphene. Graphene is a Nobel Prize winning material first discovered at the University of Manchester in 2004. It is the strongest and stiffest material known to man, up to 300 times stronger than steel, stronger than diamond, and 30 times stronger than Kevlar! Graphene has recently been used by Head for their tennis rackets. These rackets are now used used by Andy Murray and Novak Djokovic. See the YouTube clip here. Graphene is incorporated in the FX1 rod in the form of multi-walled carbon nanotubes – 1 atom thick sheets of hexagonally bonded carbon formed into tubes and added to a state of the art resin. Being 32 times stiffer than steel per unit mass. The sub-microscopic cylinders of carbon on a weight-for-weight basis are at least 120, and up to 300 times stronger than steel and 30 times stronger than Kevlar! Approximately 1/50,000th the width of a human hair, Graphene nanotubes can stretch considerably rather like plasticine before breaking, up to 14 percent of their normal length. Their aspect ratio (length/diameter) can be up to 130,000,000:1. To illustrate this, if we think of a carbon nanotube as a piece of spaghetti (typically 2mm in diameter) then, at this scale, the tube would be 66km long! As well as being the first rod to incorporate Graphene, the blanks are produced using a further unique process where the blanks are cured inside a high pressure autoclave, a machine normally used to make parts for the F1 motor racing and aerospace industries. This extra process removes as much air as possible from between the carbon layers in the blank as it is cured, air that would normally remain trapped during the normal rod making process, creating a much stronger blank. Incorporating a weave of this new Graphene nanotube material the FX1 rod flexes deeply during the cast and recovers quickly and powerfully. 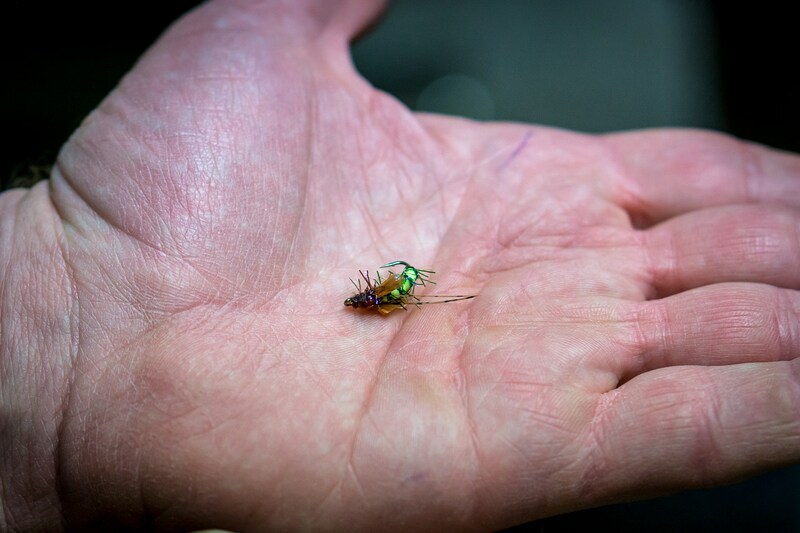 This fast recovery makes it easier to cast further with little effort, yet retains the ‘feel’ that is so important in a Salmon fly rod. The rods have been designed to handle all types of lines, from longer traditional Spey lines to short Scandi and Skagit style shooting-heads. The new FX1 rods will be available to try at the Ardaire Springs Fishery open day in April (details to be announced soon). 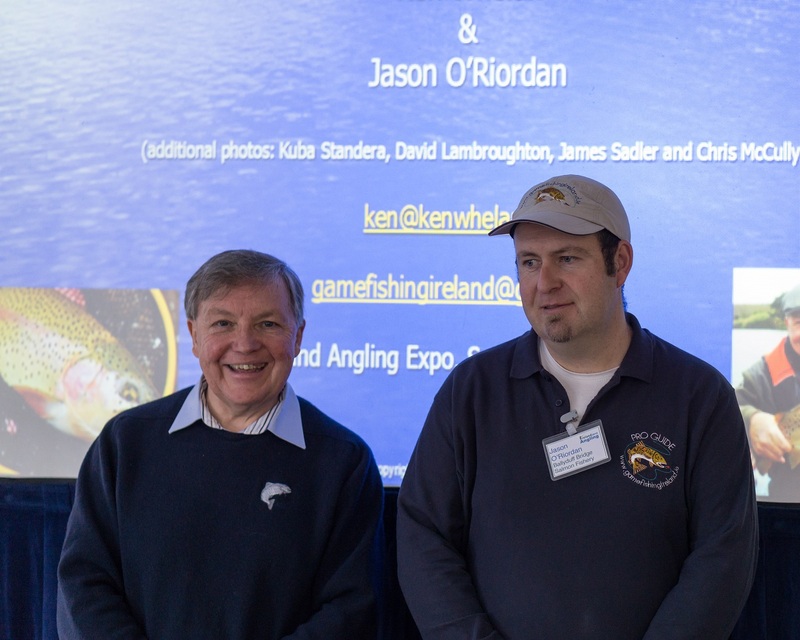 Last week I was in Dublin for the Angling Ireland Expo. What a great fishing show this was. 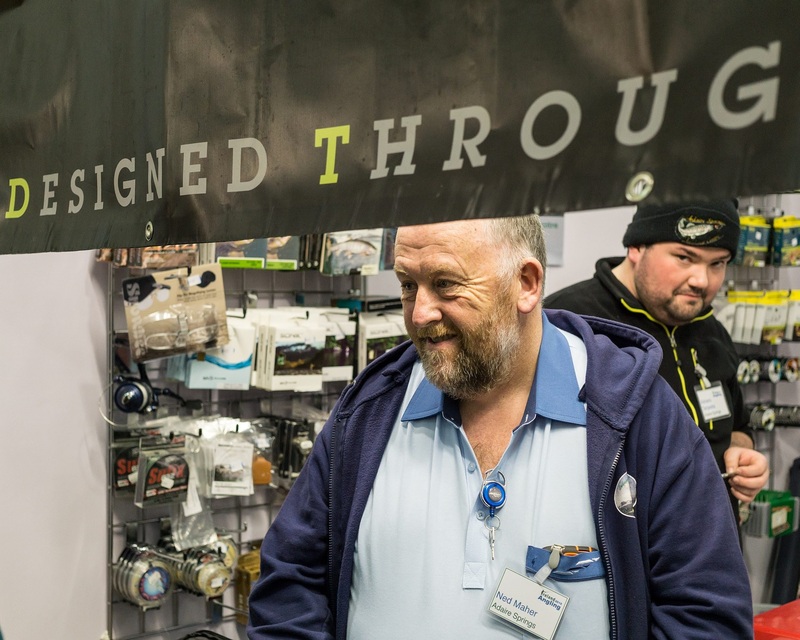 There were lots of trade stands at the show with top quality fly fishing gear. I was good to meet up with old pals from Funky Flytying, AM Angling, Cleeres, and Southside. Good bargains were to be had from these boys on all sorts of brands from Simms clothing to Snowbee fly lines. 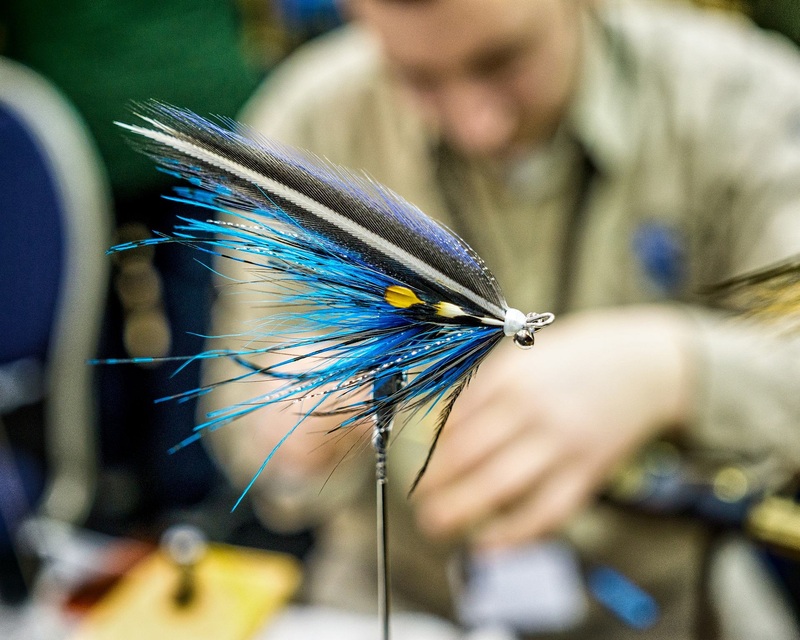 My very good friend Denis was tying beautiful intruder flies at the show and Paula and Andy were doing their magic on saltwater and pike flies. 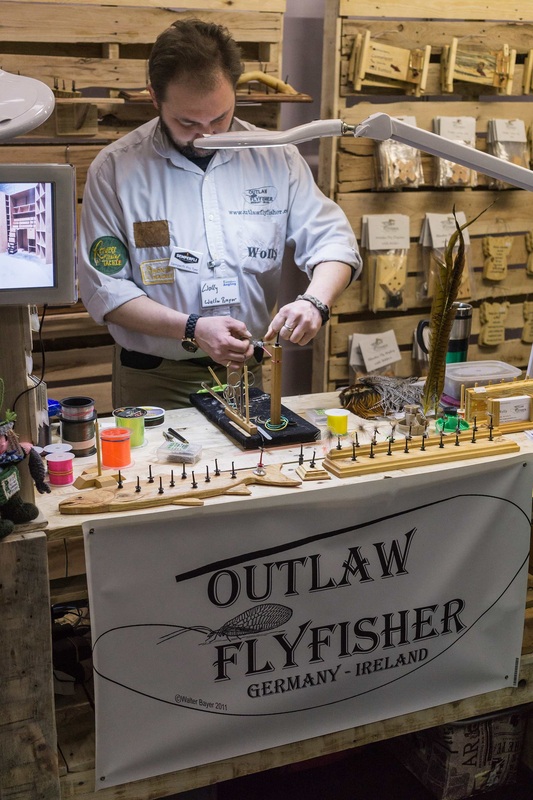 I was in awe of some of the craftwork on the Outlaw stand (well done Wolly). On Saturday and Sunday mornings I gave talks on Matching the Hatch in the lecture theater with my pal Ken Whelan. 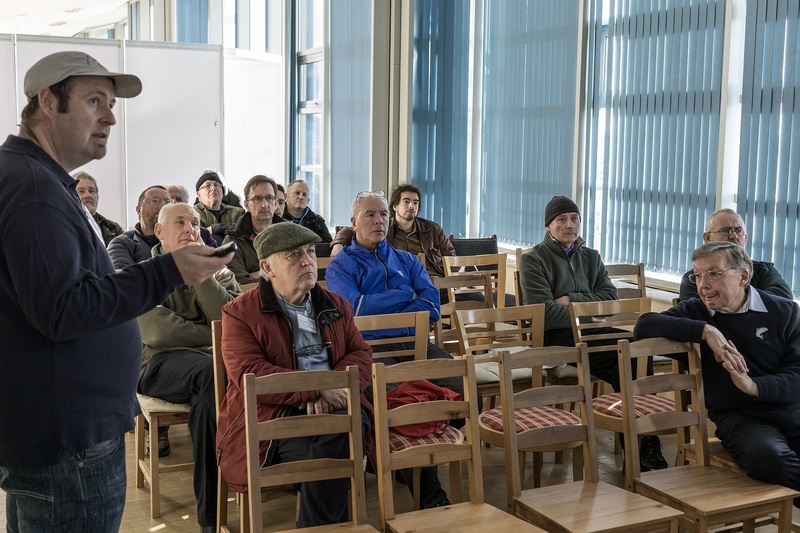 The audience was very interested in all things trout, seatrout and seabass. Speaking of seabass it was good to catch up with Jim Clohessy and Henry Gilbey at the show. I hope we beat the English in the Rugby tomorrow or I will never hear the end of it from Henry!! 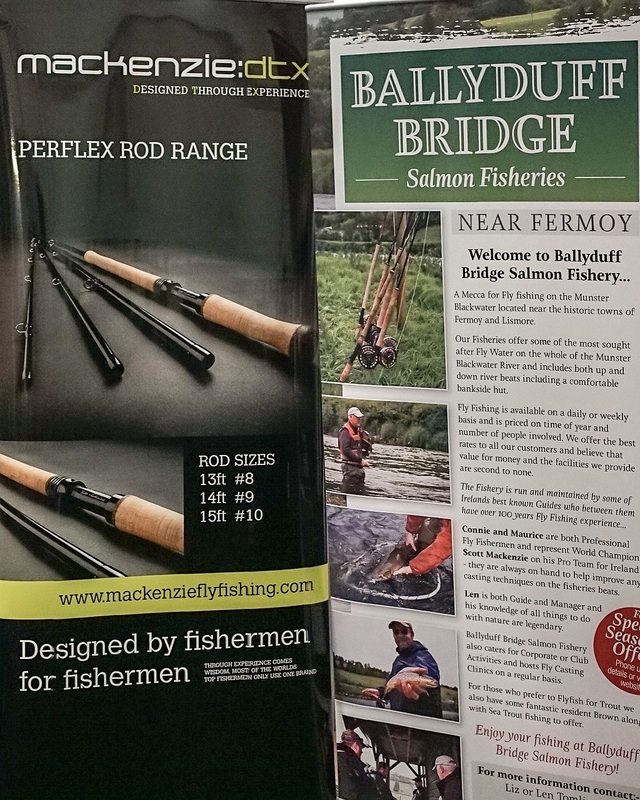 When I wasn’t at the lecture theater or having a look around the show I was based at the Mackenzie/Ballyduff Bridge Salmon Fishery Stand. I put up a little display of salmon tube flies and some imitative trout flies that was well received by the passers by. 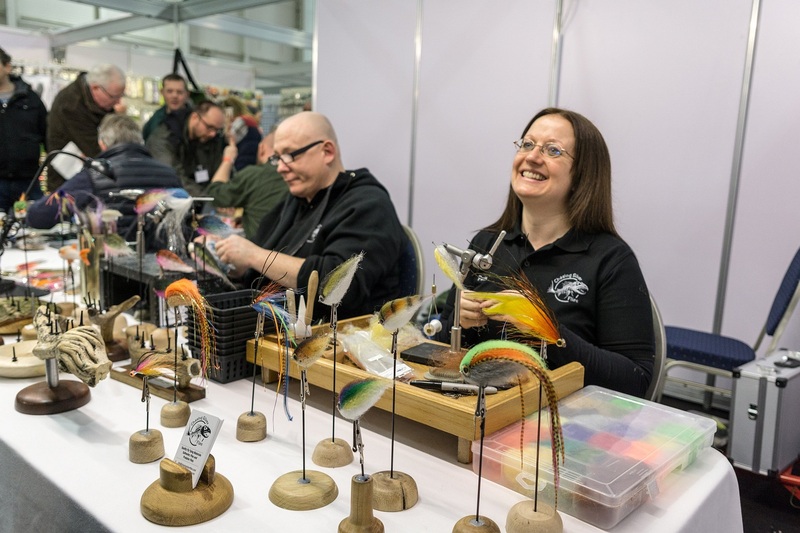 Scott Mackenzie had a great display of his range of single and double handed rods which were available to purchase from Ardaire Springs at the show. 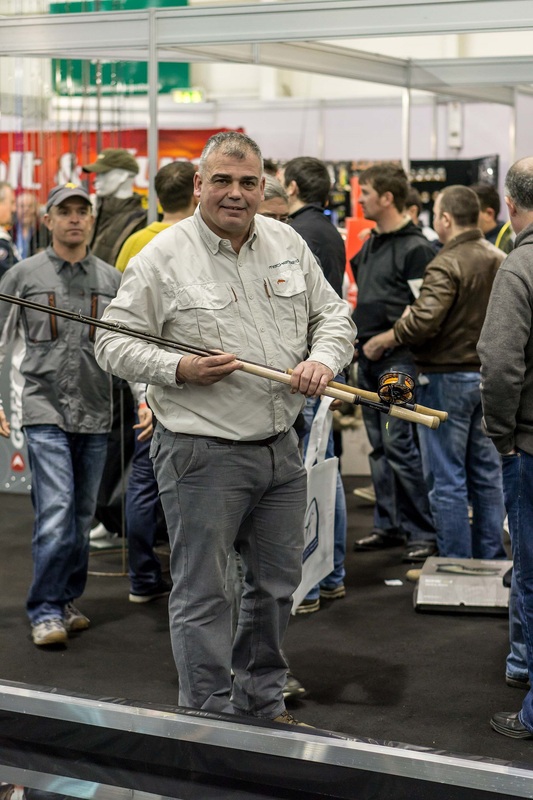 He did a great casting demo and also helping out on the stand was the ever reliable Mackenzie Pro Team Member Maurice Cahill. Of course Scott wasn’t the only one giving a casting demo. There were also demos by Mads Pedersen, my good pal Stevie Munn and Glenda Powell. I particularly liked Glenda’s analogy of the trampoline when explaining the double haul. The show wasn’t all about fly fishing though. 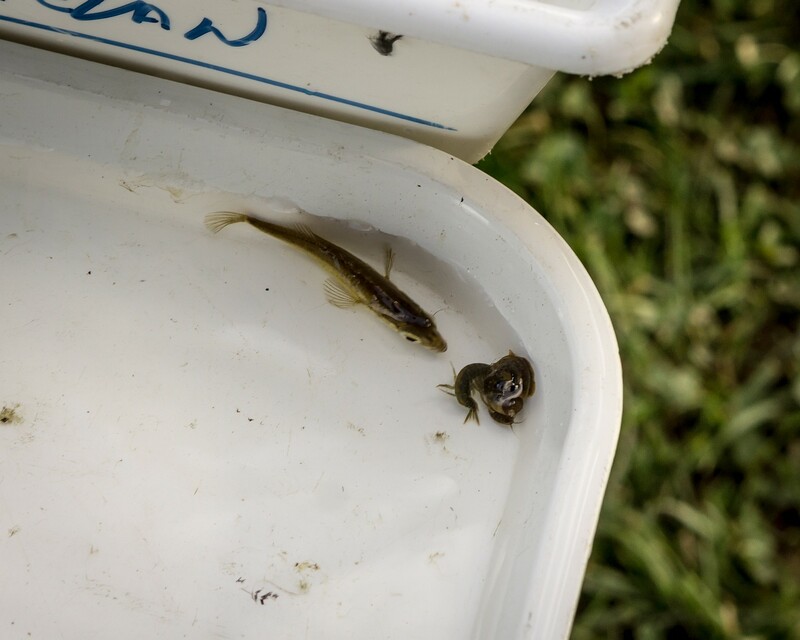 There was plenty on display for the pike, bass and coarse enthusiast. It was my first time meeting Jan Porter who I had seen on TV with Matt Hayes and I have to say he is a real gentleman. Of course it is the people who attend a show that help to make it a success and there was plenty of them, especially on Saturday. It was great to meet lot of new people who were interested in the rods and the fishery and of course some old friends too. I’m looking forward to seeing the photos on Facebook that the Clonmel lads took of the stands on Sunday!! Of course our main man for photos Kuba was on hand to take lots of pro photos for us. This guy is really good at what he does. So, overall it was possibly the best show yet and great credit goes to the Mara Media Team. I’m already looking forward to next year! 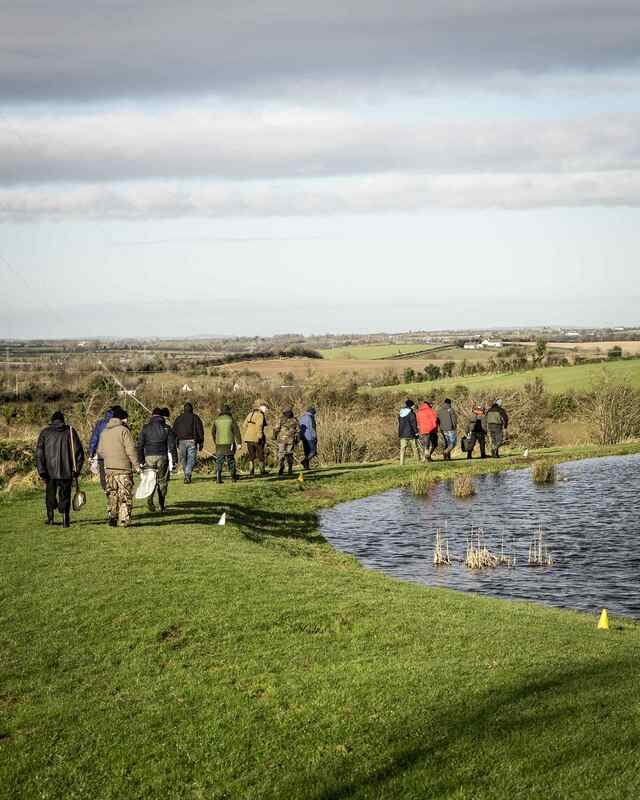 Last Sunday I traveled to Courtlough Fishery in Dublin to tutor the Match the Hatch Course with Ken Whelan. 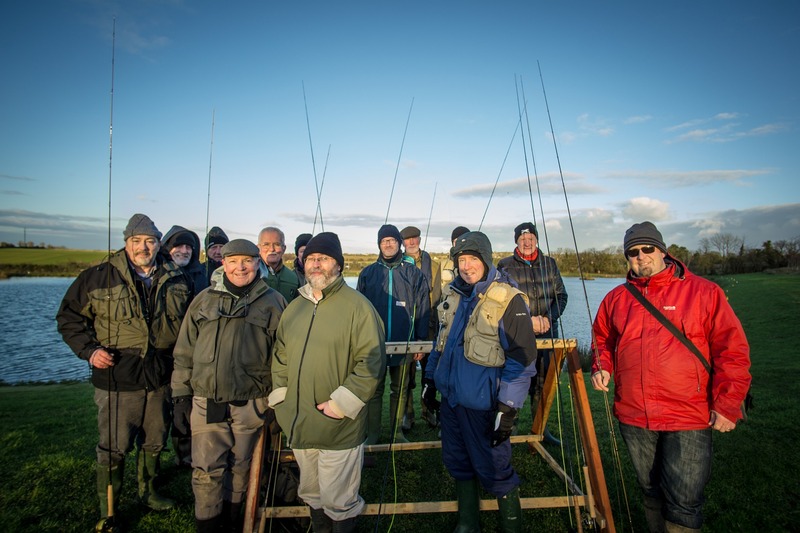 We had 14 participants on the course and Garrett the fishery manager and the staff at Courtlough were very welcoming to everyone. In the morning Ken went through a PowerPoint presentation on the various important species likely to be living in the lake. We then headed down to the water to for a kick sampling session. Everyone took part and Ken provided the required equipment for the session. 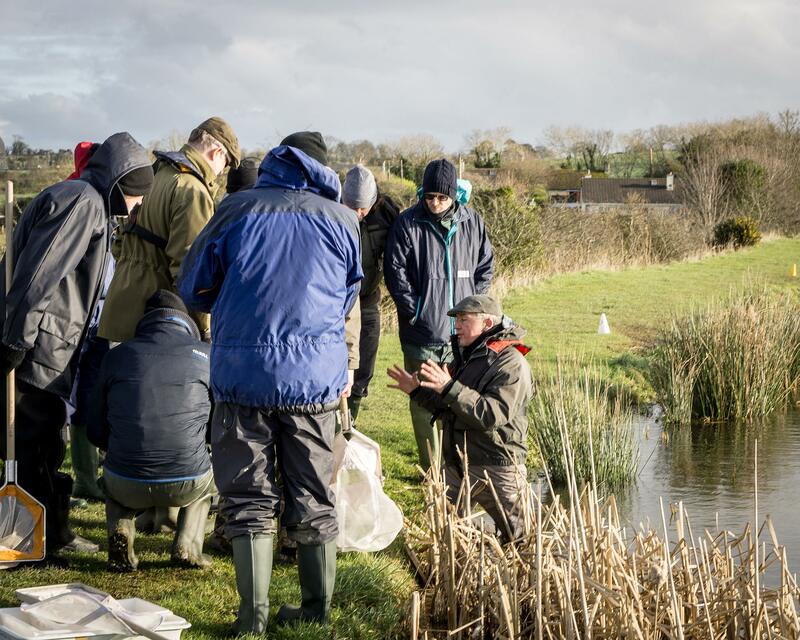 It was great to see all the insect life collected and identified and it proved to be a real ‘eye opener’ for the participants who really enjoyed this aspect of the course, despite the very cold weather. Next it was time for lunch and we headed back to the bar (yes bar!) for soup and sandwiches. The hot soup was very welcome and again Courtlough set the standard by providing additional sandwiches tea/coffee and biscuits. With full tummies it was time for the afternoon session. This was where I took over and showed everyone a series of imitative fly patterns designed to look and/or move like the insects we found in the lake. We headed back down to the water and I demonstrated a few fishing techniques for replicating the movement of the naturals. The guys then had time to do some fishing themselves and try to put what they learned into practice. I used two Mackenzie DTX single handed rods for my demo and the boys were keen to get their hands on them. Ken had a go with the 10ft 7wt with a fast intermediate line and a damsel imitation. 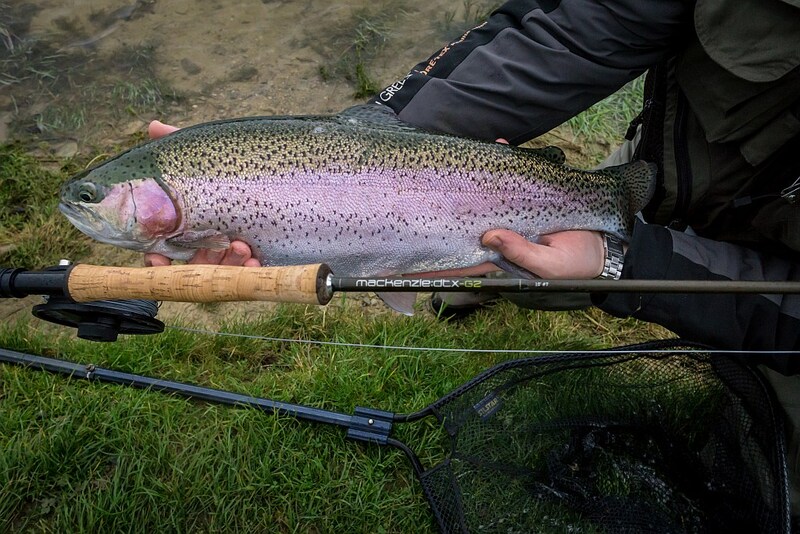 Within the first few casts he was into a lovely rainbow. Everyone was very impressed with these rods. A few more fish were caught and as the sun and temperatures dropped it was time to call it a day. 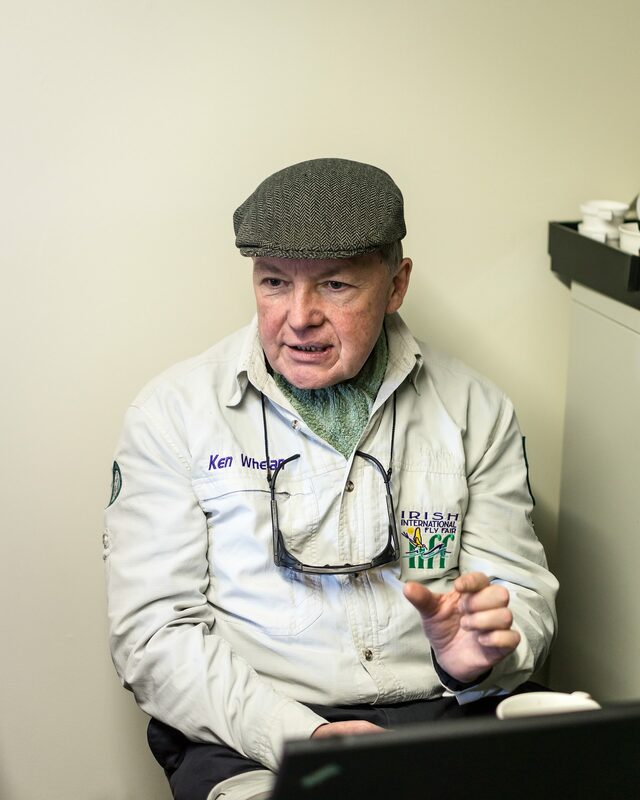 The feedback afterwards was really positive and this was most satisfying for Ken and I. Our next Match the Hatch course will take place in Ratchon Fishery on March 1st. 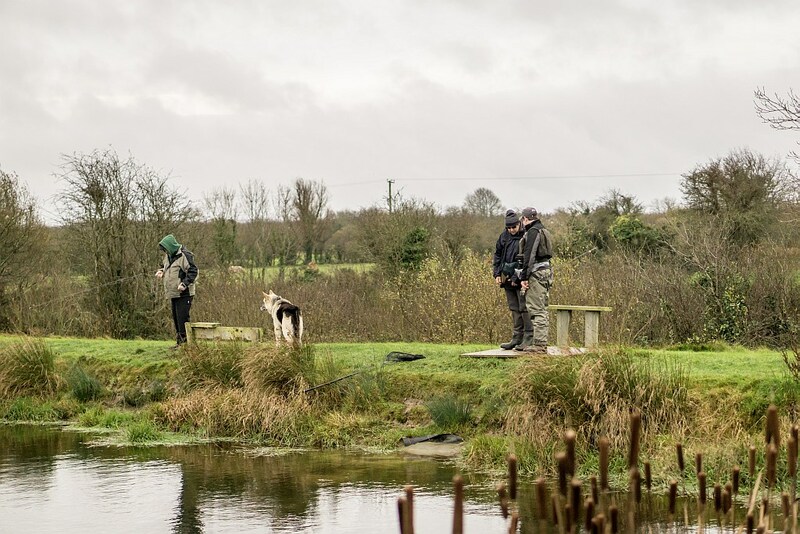 In the meantime I am taking bookings for a Stillwater Tactics course at Ardaire Springs fishery in Mooncoin. For more info click here. As I have recently been appointed to the Mackenzie Pro Team for Ireland I will have a range of single handed rods with me for these courses. A local chap Des who normally river fishes was keen to have a go at lake fishing during the closed season on rivers. I arranged with him to go over to local fishery Ardaire Springs to try some bank fishing for a few hours. Des started off with his own 9ft 5wt rod and although he is a very capable caster it was something of a struggle in the strong wind on the day. However, he did manage a fish or two on a dead drifted bloodworm pattern in a sheltered corner. 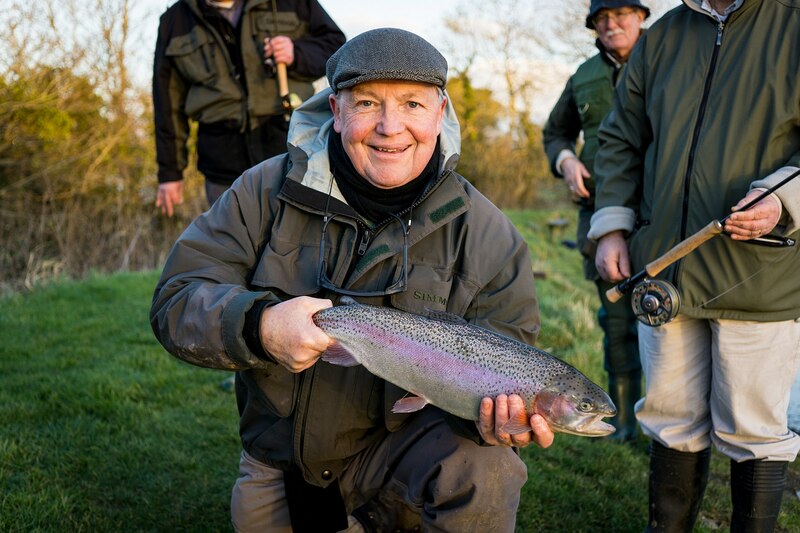 In fact, fishery manager Ned came out for a look and couldn’t resist a few casts with it too. It was a good sign when Ned asked if I could bring it over again soon so that he could spend more time casting with it!! 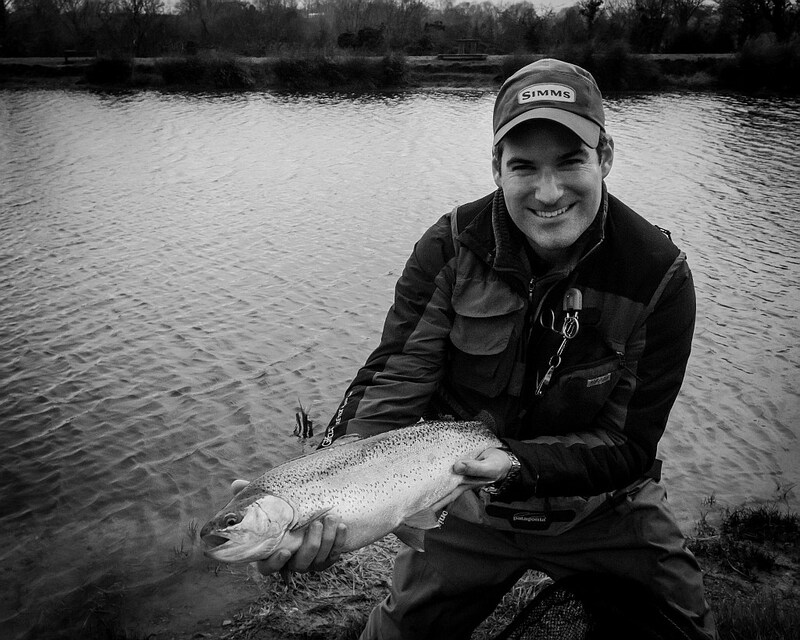 Des caught his largest trout to date shortly after that while using the DTX. A lovely conditioned rainbow trout of about 6lbs. Well done Des – your hooked now! Designed by 3 times world spey casting champion Scott Mackenzie, the DTX 10ft 7wt is a superb rod and I would happily recommend one for reservoir fishing. 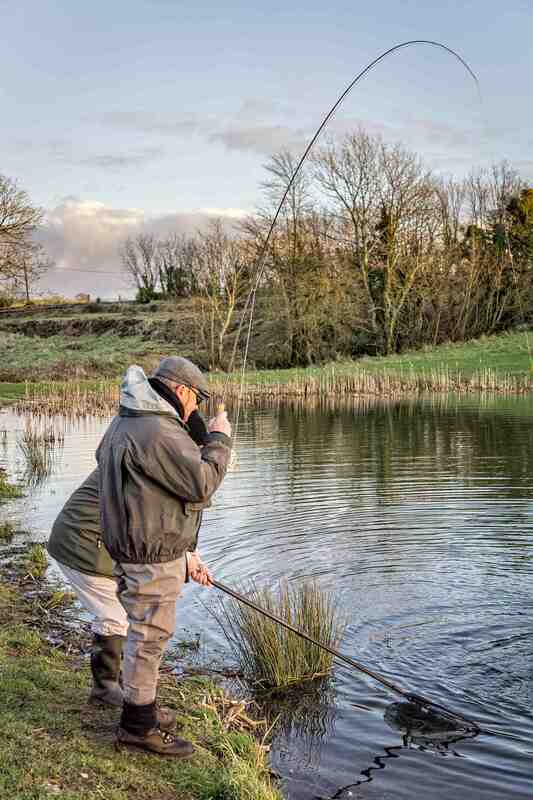 To find out more about the DTX range of single handed rods click here.